Bay Minette is located near the center of Baldwin County in southern Alabama at 30°53′0″N 87°46′38″W (30.883446, -87.777183). 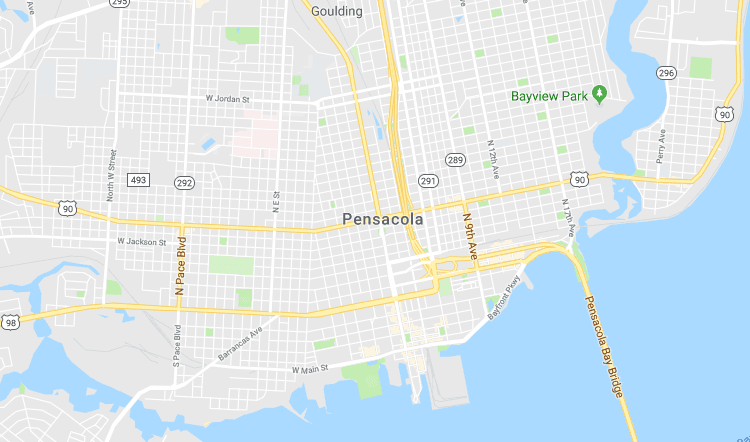 It is sited on high ground 5 miles (8 km) east of the Mobile River/Tensaw River valley and 6 miles (10 km) west of the Florida border formed by the Perdido River. U.S. Route 31 passes through the center of the city, leading south to Spanish Fort and northeast to Atmore. Interstate 65 passes about 5 miles (8 km) north of the city, with access from exit 34 (State Route 59) and exit 37 (State Route 287).